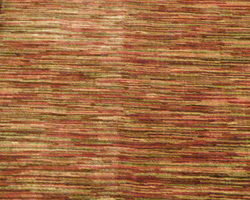 Carpet side match concerns appear as shade or hue variations where carpet panels are joined at the seam. There are both actual and conceived carpet side match concerns. In this article we discuss sidematch cause and correction. The way light falls across or down a seam can cause shadows on one side. One side of the seam may appear darker than the other. Light fixtures casting more light or shadows at one side of the seam. This is a perceived difference. Overhead and side light at one side of a seam can cause one panel of carpet to appear lighter in shade than the joined panel. Carpet panels turned in opposite directions will cause the appearance of a color (shade) side-match difference. A peaked seam will often cast a shadow on one side of the seam. Excessively tight seams and widely gapped seams often peak. Profiling of thermoplastic seaming tape. 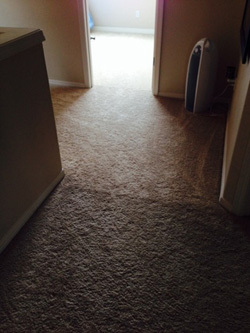 The profiling occurs when the carpets stretched tight, leaving a slight elevation at the seam. Untrimmed high tufts at one side of the seam, may throw a shadow across the seam. A seaming iron set too hot can change pile direction at the seam. Seams placed parallel to major lighting sources often result in color or shade variations. 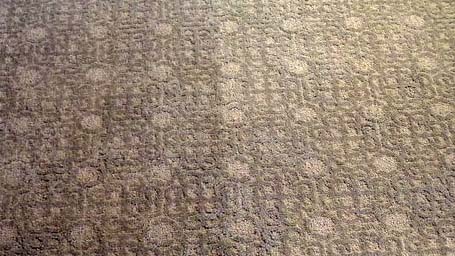 True carpet side-match difference is either color or shade variation between joined panels. With the continue dye method one end of a carpet roll can be lighter in shade or hue then the other end. Pile reversal within a roll of carpet may result in the appearance of a color or shade difference. Texture differences that appear during the shearing or tufting process can give the appearance of color or shade difference. Tension differences in looped pile carpet can occur during manufacturing. Tension may cause loops that are shorter, longer, fuller or tighter than other loops. Crushing a shipping or storage related concern can cause the look of a texture or color difference. Steaming may improve or correct a texture or crush concern. Time will often correct a crushing condition. It may take a couple of weeks or a few months. Changes in relative humidity and temperature help a carpet to relax. Color Correction: A true shade or hue variation may be correctable by feather blending. The blending process uses specially formulated dyes, blending the lighter side of a seam to the darker. Specifically trained color blending experts work with manufacturers to correct sidematch concerns. Correctly blended, the correction should last for the life of the carpet. This feather blending process prevents the inconvenience of carpet replacement. Specially formulated dyes are designed to withstand carpet cleaning. The manufacturer’s warranty on your carpet remains in effect. To learn more about sidematch, visit our website Carpets Wall to Wall. Onsite inspections by nationally recognized Certified Independent Carpet Inspectors Terry Weinheimer and Kevin Weinheimer.